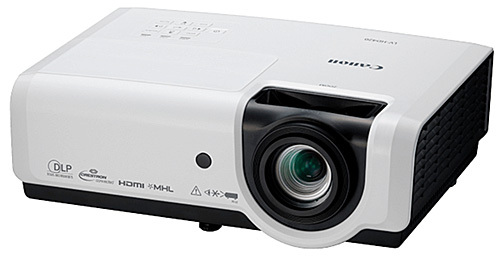 Canon has just announced two new compact, 7.5 lb, relatively mobile 4200-lumen projectors that look identical from the outside and vary primarily by resolution on the inside. The Canon LV-HD420 is a 1920x1080 full HD projector priced at $1,699, while the Canon LV-HD420 is 4:3 format XGA resolution at $1,099. Both of these projectors are MHL enabled, which makes them suitable for an array of business, K-12, and higher ed applications. The Canon LV-HD420's full HD format is intended for 16:9 aspect ratio video projection in ambient light where lumen power is needed to make the image pop. The lower priced LV-X420 hits its stride in classroom and business applications where moderate resolution is sufficient and brightness is needed to counter ambient light. 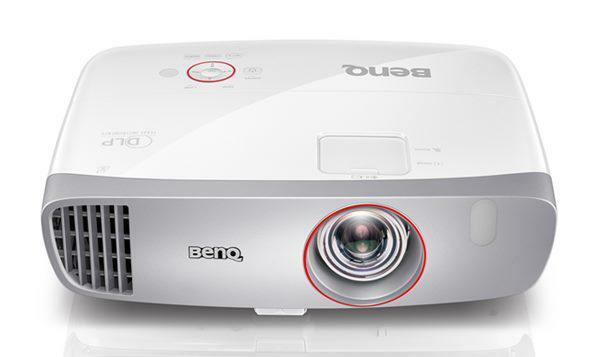 At just 7.5 lbs, both projectors are small and light enough to fit either mobile or fixed mounting applications. With five preset viewing modes and two User modes, it takes little time to get a quality image displayed. With a wide range of adjustment settings, the image can be customized to the user's preferences, and those settings can be memorized for quick set-up should they be changed by another presenter. Focus and zoom are manual, and the 1.5:1 zoom ratio gives you a good flexibility for projector placement. The HD420 will throw a 150" 16:9 image from a distance of between 20 and 30 feet. On the other hand, the X420 will thrown a 150" 4:3 aspect ratio image from about 14 to 21 feet. For throw data to meet your specific screen requirements, see the Canon HD420 Projection Calculator or the Canon X420 Projection Calculator. Canon says that both of these projectors will begin shipment in mid-May. The prices include a three-year warranty, which is longer than most of the competitors in this niche.